Viral marketing, viral advertising and marketing buzz are buzzwords referring to marketing techniques that use pre-existing social networking services and other technologies to produce increases in brand awareness or to achieve other marketing objectives. Cloverfield is a good example because it draws viral marketing to catch many people into the theaters by keeping its viewers in the dark and shrouding itself in mystery before its release or before anything . The marketing is in relation to transmedia as it brings the movie onto different platforms or other various media. For example, the Internet and manga, a Japanese graphic novel, are considered as well as fans or moviegoers that speculate when the pieces are present and come together. The viral marketing about the monster movie made itself different from other types as it focused on the Slusho drink and its fictional makers, Tagruato than actual characters from the movie. This move had many to think they play an important role within the movie’s story-line. The marketing ploy’s beginnings started with a teaser trailer during the viewing of Transformers that did not say much about the movie. The trailer had some shaky cam footage of people partying and then to panicking as debris including a decapitated head of The Statue of Liberty starts flying and ended with a release date. There is also the official site called 1-18-08.com, which showed a collection of time coded pictures. These photos have characters from the movie, a sea incident and random Japanese people. It provides visitors to interact with them by moving the pictures and organizing them. New images have been updated to the site between 2007 and 2009 and up until early 2012 has the site have been removed. The drink Slusho! contributed to this marketing campaign as well as the fictional Tagruato company, adding more to the movie’s mythos. These two companies have also made cameos or referenced in J.J. Abrams other movie and TV works. Slusho had appeared in Abrams’ produced show Alias, while Tagrauto was mentioned in a TV spot for his first Star Trek film. Slusho! has a colorful website that definitely contrasts with the rest of the pre-movie information by its tone and feel. The site is littered with anime/cartoonish characters, such as a boy and a girl with pigtails and various animals like a horse, a pig, and fishes in flash animation. They promote the company’s drinks with both Japanese and English texts. There are pages for distribution opportunities which is in relation with the Tagruato company. One page tells the history of Slusho! where its secret ingredient is found at the bottom of the ocean. Other pages include customer feedback with a link to the creator’s email, a store that is closed, downloads for website wallpapers, Happy Talk which has positive consumer comments, information about the flavors that you can mix and match in the form of robots, and a contest for Slusho! commercials. There are viral videos in the form of news reports but in foreign languages, Spanish, German, American, and Italian about Tagruato, a Japanese drilling company that owns Slusho!, suffering from a huge setback because of some incident or attack at the drilling site, Chaui. The footage was recorded from a helicopter that had one of the workers there shows the rig collapsing in seconds. The eco-terrorists known as Tidowave, dressed in all black and wielding firearms, are shown in a raft with some who worked on the rigged, escaping the rig site. Then debris of the rig shoots out of the ocean and hitting the raft. Other type of merchandise includes a prequel manga which is only found online and translated into English, Cloverfield/Kishin by Yoshiki Togawa and published by Kadokawa Shoten. The manga’s story focuses on a Japanese high school student who has some kind of connection to the monster. This happens during the events of the Chaui station incident and the manga talks more about Tagruato and Slusho! companies, relating to most of the viral tie-ins than the actual movie. There are new tidbits about the nature and biology of the monster and involvement of a cult. 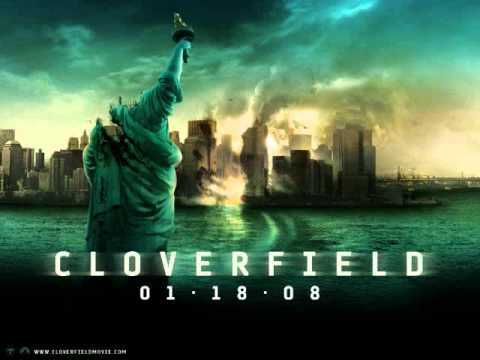 The viral marketing for Cloverfield gave fans much to speculate with as they connect the fictional companies, the eco-terrorists, and the monster. The result tells a prelude about how what ignited the events of the movie. It’s this kind of marketing that made Cloverfield into a monster hit.